New Laws Take Effect Today in Florida – Including PTSD Benefits, Animal Abuse.. The following are new laws that are in effect in Florida as of October 1, 2018; please click the bill number for a link to the actual bill to learn more about the specific law going into effect today. Trespass on Airport Property; Provides enhanced criminal penalties for trespass upon the operational area of an airport with specified intent if specified signage is posted. 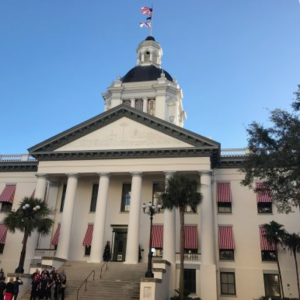 While our firm concentrates its practice in the area of personal injury and automobile accident law we also stay up to date with all of the legal changes that come from our higher courts, the Florida Legislature, as well as Washington D.C; If you or a loved one are in injured in Florida and would like to discuss your case with one of our attorneys, please give us a call at 239-277-0005. We serve clients throughout Southwest Florida including those in the following localities: Lee County including Bonita Springs, Cape Coral, Estero, Fort Myers, Fort Myers Beach, Lehigh Acres, and North Fort Myers; Collier County including Golden Gate, Immokalee, Marco Island, and Naples; and Monroe County including Key Largo, Key West, and Marathon.